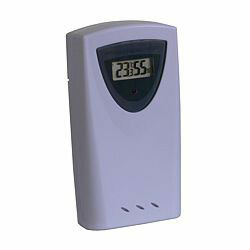 The DCF-Radio-Weather Station is suitable for any person who needs data for hobby reasons or for work purposes. 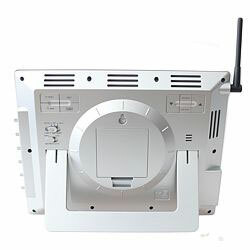 Connection to a PC for data transference is possible. Data can be visualised, turned into statistical data and stored via the included software. 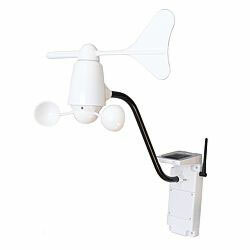 This DCF-Radio Weather Station 4CastPC records wind direction, wind force, temperature, relative humidity and rain quantity. The 4CastPC Station receives via DCF-/HBG time signal transmitter regional weather information for your region for four days (current day and the three following days) processed by professional meteorologists. Significant weather events are displayed as plain text in addition to the forecast representations. Moreover extensive weather data can be obtained directly with local weather sensors and presented on the DCF Weather Station 4CastPC display. This way extensive weather information can be received regarding regional and local weather to involve microclimatic differences respecting the regional weather. The included analysis software enables observation and comparison of weather prospects over a longer period of time on the basis of diagrams and graphics. Everything you need to know about opening and using this DCF-Radio Weather Station is included in the delivery. If there are any questions about these products, please contact us: UK customers +44(0) 23 809 870 30 / US customers +1-410-387-7703. Our technicians and engineers will gladly give you advice on this wireless weather station and all other products in the field of measuring instruments, regulation and control and scales. 0 % … 99 % r. F.
+/- 5 % r. F.
The observation of weather data with the weather station is significant not only globally but also for local areas. This could extend from a simple display for weather data over a long-term observation and analysis of recorded data to the reaction of exceeding or sub-exceeding of certain values. 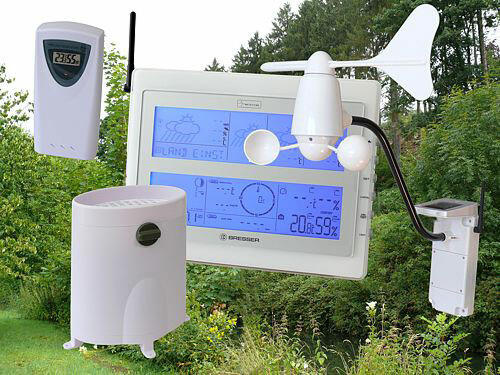 The weather station permits all these possibilities in connection with the software for using and evaluating as well as the interface. 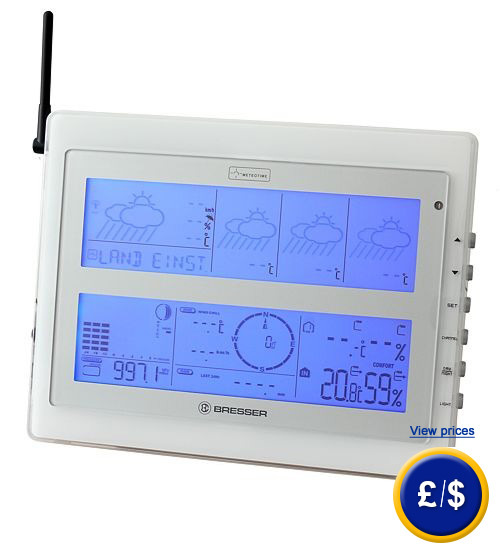 The weather station can be used in private as well as in industrial areas, for instance, by farmers and foresters, skippers, in the water management and by organisers of outdoor events. Besides measuring inside temperature and humidity, the using of various sensors like rain meter, wind direction display or wind velocity sensors is possible. The radio sensors have a range of up to 100 m (free area). Hence, a totally free and flexible installation is feasible. The electricity for the sensors is guaranteed by batteries. All sensors will be recognised automatically and can be used at once. While the weather station informs constantly about all current weather data and developments on a large display (e.g. 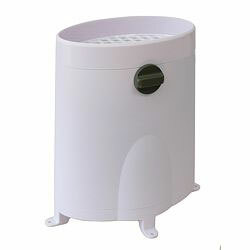 air pressure trend), the data can be recorded and analysed via the evaluating software at the same time. All measuring values of the weather station will be transmitted through the interface on the PC/notebook. The weather station enables comfortable and extensive observation and analysis of weather data as well as reaction on certain weather conditions. 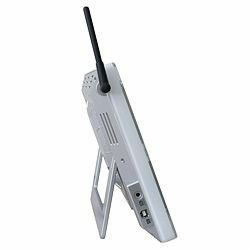 Here you can see further products in the field of "Professional Wireless Weather Station".